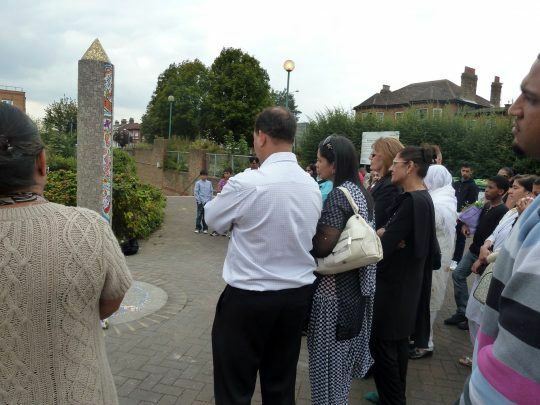 Commissioned following fatal stabbings in the area the Redbridge Community Peace Memorial stands both as a memorial to those young people who tragically lost their lives to knife crime in the area, and also as a symbol of the local community coming together to promote peace and unity amongst young people. 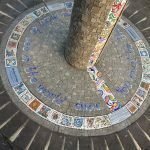 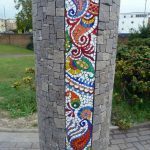 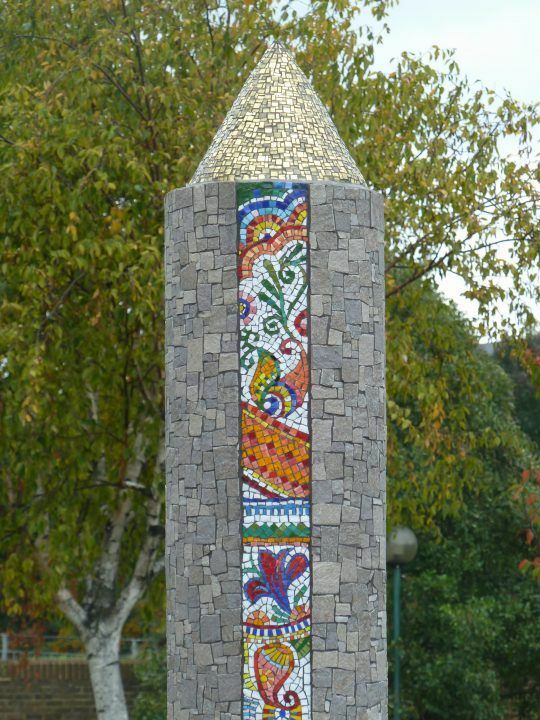 The 2.5m caste concrete column is decorated with porcelain mosaic and a strip of Venetian Glass Smalti mosaic which runs up from the floor. 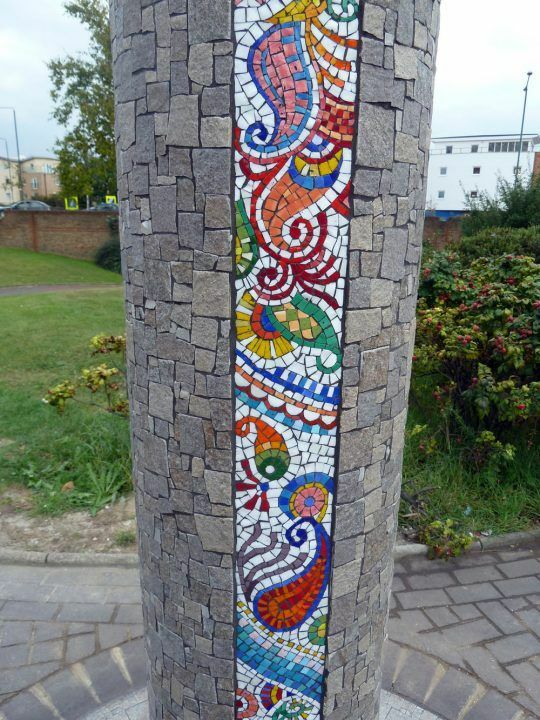 The strip of Venetian Glass features multi coloured mehndi inspired patterns, which link the local Sikh, Hindu and Muslim communities. 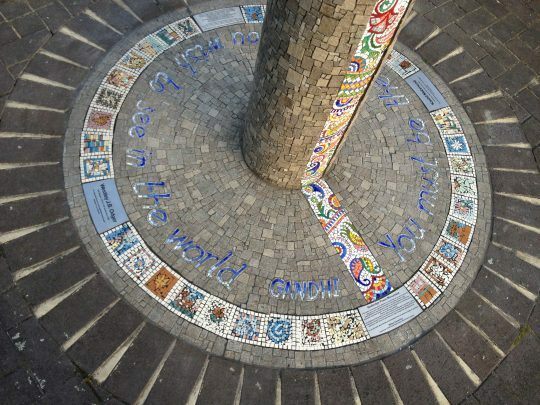 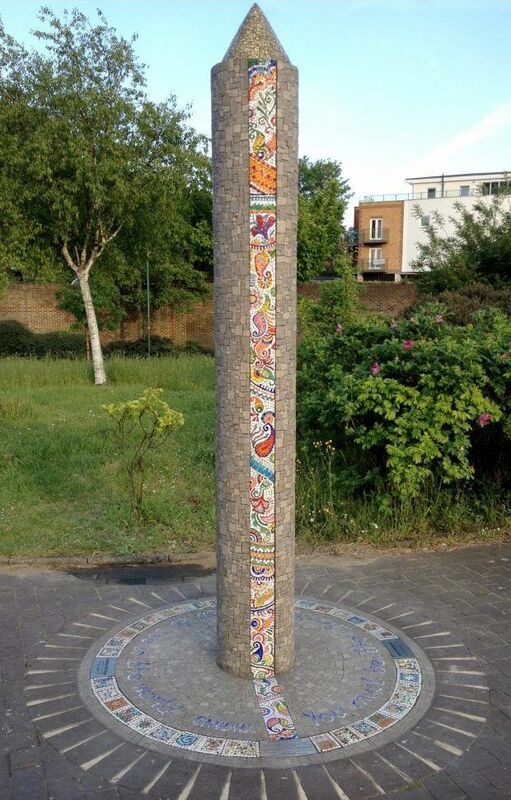 Around the base of the column are peace mosaics made by local children and a quote from Gandhi. 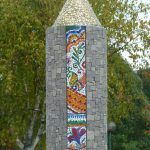 On the top of the column is a gold pinnacle. 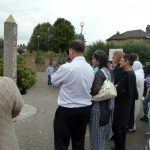 Ann Oakes-Odgar – Founder/CEO KnifeCrimes.org, East Ilford Business Partnership, Redbridge Carnival, British Pakistani Christian Association, East London Community Foundation; Sergeant David Somerville.